To log into your account and manage or add a business listing. 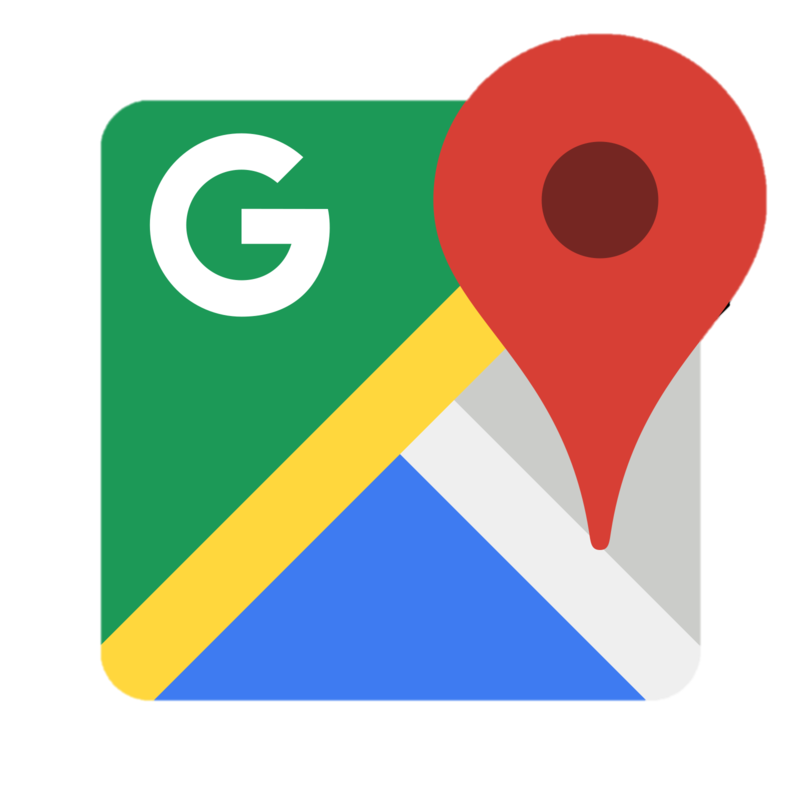 To create an account and add your business to the Horton Township Business Directory. Horton Township offers a unique blend of country living with nearby urban centres. Our Township borders the Town of Renfrew and is only 45 minutes away from Ottawa, Ontario - Canada's capital. Residents enjoy the tranquility and privacy that rural properties provide and have access to the modern day conveniences such as shopping, hospitals, theatres, schools, churches and restaurants. The Ottawa River, the CN trail, the covered outdoor rink and the local community centre are just a few of the recreational opportunities available within the Township. Come and experience the friendly community atmosphere that Horton Township offers and enjoy "rural living within urban reach". Welcome to Horton Township, one of Renfrew County’s “hidden jewels”. 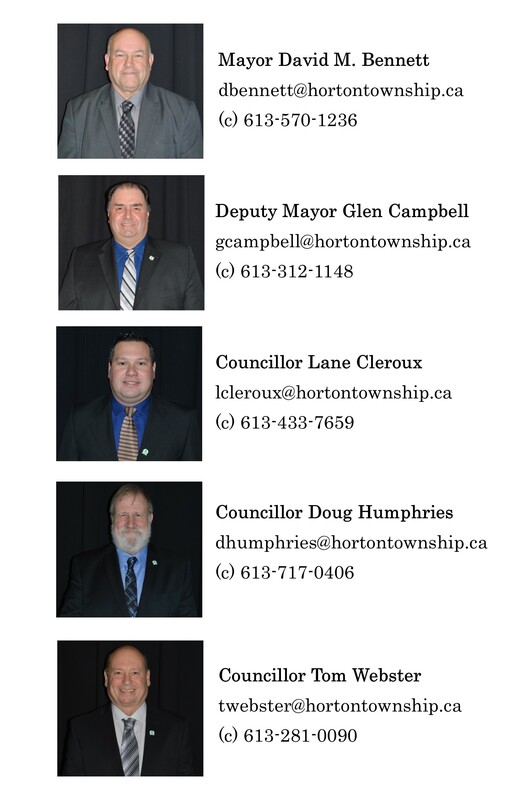 It is my privilege as Mayor to invite you to explore our website to obtain an insight into the Township’s infrastructure and history, as well as familiarizing yourself with the dedicated Council and Staff members who work together to manage the business of Horton Township. Horton’s history commenced in the early 1820’s. It was incorporated as a Township in 1850. The Township has the distinct privilege of being home to the first road known as the Opeongo Line, starting at the beautiful Ottawa River. This is where cargo was received and passengers disembarked from the boats arriving at Farrell’s Landing, to begin their journey into the interior of the Ottawa Valley. The Ottawa River is one of two rivers that run throughout the Township. The second one is the Bonnechere River which stretches 145 kilometres from near McAskill Lake in Bonnechere Park to Castleford in Horton Township, where it empties into the Ottawa River. Our Township is a rapidly growing community. The present population is approximately 3,000 residents. In 2014, Horton Township had the second highest growth rate for new homes in Renfrew County. Township recreation facilities include a beautiful community centre with a 175 seating capacity. The community centre was recently expanded to include a brand new kitchen and stage facilities. We also offer a regulation-size outdoor rink and a heated change room. The engineered steel roof that covers the outdoor rink allows us to extend the hours of operation for the skating and hockey seasons. During the summer, residents and tourists alike have use of the Horton Township boat launch which allows for easy access to the Ottawa River. Our web site lists the names of our Council members and staff. If you have any inquiries or concerns please feel free to call the person in charge of the relevant committee or department. We are available to respond to any of your concerns or to direct you to someone who can assist with your inquiry. In closing, I encourage you to visit us at your leisure, to enjoy all the amenities that Horton Township has to offer. The Horton Community Centre, at 1005 Castleford Road, is available for bookings. This facility is air conditioned, fully licensed and has a seating capacity for 200. 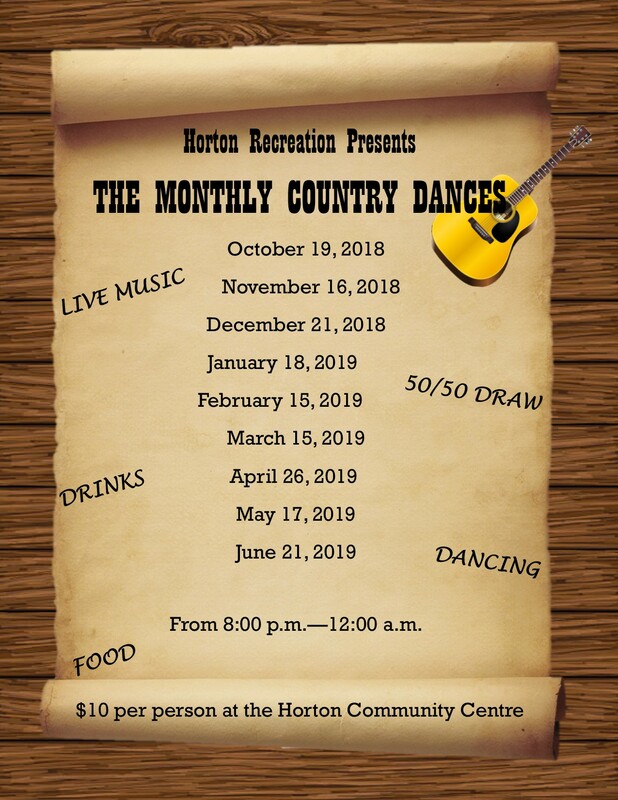 To be kept up to date on all programs and events running at the Community Centre, like our Facebook page, Township of Horton! AT THE HORTON COMMUNITY CENTRE AT 7:00 P.M. The Integrity Commissioner provides confidential written and oral advice to the Mayor and Councillors about their own situations respecting the Code of Conduct for Members of Council and other by-laws, policies and procedures governing ethical behaviour, including general advice about the Municipal Conflict of Interest Act. The Integrity Commissioner also provides opinions and reports to Council on issues of ethics and integrity. Complaints about breaches of the Code of Conduct are made to the Integrity Commissioner pursusant to the Council approved Complaint procedure. Complaints can be dealt with through a formal or informal process. When carrying out a formal complaint investigation, the Commissioner can summon evidence and examine witnesses under oath. Should the Integrity Commissioner find a contravention, he can recommend various penalties for imposition by Council. The available penalties range from suspension of remuneration to a reprimand or apology. The Integrity Commissioner is responsible for providing educational programs to Council Members and Staff. This is carried out in group settings, one-on-one meetings, and annual reporting. 50% will be returned if the complainant is successful. Inquiries on your assessment should be directed to MPAC at 1-866-296-6722. ***Please Note: DO NOT PRINT DOUBLE SIDED!! We currently have the following Summer Student opportunities. The work term is set to commence June 3rd, 2019 for a period of 12 weeks. Please forward your resume with cover letter (in MS Word or PDF format), referencing the specific position being applied for by 4:00 p.m. on Friday April 26th, 2019 by fax; 613-432-7298, e-mail; cao@hortontownship.ca; or by dropping off at the Municipal Office. The Township is committed to providing a barrier-free workplace. If accommodation is required during the selection or interview process, it will be available upon request. The job posting is available in an accessible format upon request. We thank all applicants for their interest; however, only those selected for interview will be contacted. In accordance with the Municipal Freedom of Information Act and will be used for the purpose of candidate selection. Horton's NHL-sized outdoor arena has lighting for evening activities, and a roof to protect from weather. With four dressing rooms the facility is ideal for team games and practices. The arena is available for rental through the township office. Private rentals have priority over public skating and shinny. Starting at 8:00 P.M. until 12:00 A.M.
For inquiries, please call the Public Works Department at 613-432-6175 or the Municipal Office at 613-432-6271. 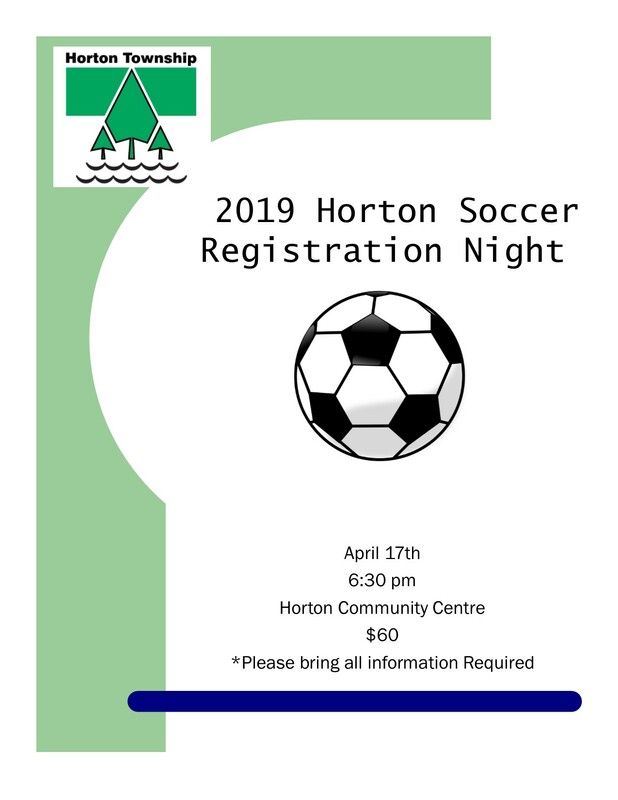 Horton Township Recreation Department operates a recreational soccer program for children up to 10 years of age. This recreational activity is not, nor is it intended to be, organized soccer under the guidance of the Ontario Soccer Association with their rules and financial obligations. However, we believe that there must be some limited rules to protect the “spirit” and “purpose” of our recreational soccer program. FOR GENERAL INQUIRIES please call the Municipal Office at 613-432-6271. In case of FIRE or OTHER EMERGENCIES, please call 911. Being a By-Law for prescribing the time for setting fire in the Township of Horton and the precautions to be observed. A Building Permit Application and attached forms must be completed prior to obtaining a building permit. Building Permit Application packages are available at the Municipal Office for pickup or Online. The Building Permit Application is to be completed and delivered to the Building Inspector or left at the Municipal Office for pickup by the Building Inspector. Building Permit Requirements No. 1 to No. 9 that are outlined below must be met prior to submitting completed building permit application. Note: Some of these steps may not be necessary for an accessory building. Notification will be given from the Building Inspector that the application has been completed satisfactorily and the applicant will then be given the amount of the Building Permit Fee, Sewage Permit Fee and Lot Development Fee. The Building Inspector will notify the Municipal Office of the amount of the fee(s) owing by applicant and they will accept payment of these. Only after payment is received by the Municipal Office will the Building Inspector be notified. The Building Inspector will contact the applicant when building/construction can commence. ***Please Note: DO NOT PRINT DOUBLE SIDED!!! The Recreation Committee is responsible for providing recreational programs and activities within the Township and overseeing the volunteers for this organization. This Committee also manages the operations of our community centre and outdoor rink. As of December 1st 2015, the Recreation Committee will meet during the Regular Council Meeting held the first (1st) Tuesday of each month. You will now find the Recreation Committee under the "Recreation" section of the Agenda. Please see Council minutes for discussions. The Human Resources Committee oversees all aspects of management for Municipal Staff as outlined in the Horton Township Human Resources Policies and Procedures. As of December 1st 2015, the Human Resources Committee will meet during the Regular Council Meeting held the third (3rd) Tuesday of each month. You will now find the Human Resources Committee under the "General Government" section of the Agenda. Please see Council minutes for discussions. The Health and Safety Committee is responsible for ensuring the Township’s Health and Safety Policies and Procedures are followed as mandated by the Occupational Health and Safety Act. As of December 1st 2015, the Health and Safety Committee will meet during the Regular Council Meeting held the third (3rd) Tuesday of each month. You will now find the Health and Safety Committee under the "General Government" section of the Agenda. Please see Council minutes for discussions. The Fire Committee oversees the operation and procedures and the annual budget for the Horton Township Volunteer Department in accordance with the Ontario Fire Marshall’s Office. As of December 1st 2015, the Fire Committee will meet during the Regular Council Meeting held the first (1st) Tuesday of each month. You will now find the Fire Committee under the "Protective Services" section of the Agenda. Please see Council minutes for discussions. The Horton Township Finance Committee is responsible for overseeing the implementation of the annual budget for all Township Departments as per the Municipal Act. As of December 1st 2015, the Finance Committee will meet during the Regular Council Meeting held the third (3rd) Tuesday of each month. You will now find the Finance Committee under the "General Government" section of the Agenda. Please see Council minutes for discussions. The Horton Landfill Site is located at 2082 Eady Road. Tuesday 1:00 p.m. to 5:30 p.m.
Saturday 8:00 a.m. to 5:30 p.m.
Tuesday 1:00 p.m. to 4:00 p.m. There is no limit to how many recycling bins to have curbside. Please follow the Garbage & Recycling Schedule mailed to residents annually. E-waste depot for all your old electronics at the Landfill Site. There is no charge for this E-waste depot. At no time will Leaf and Yard Waste be collected curbside. This material must be brought to the Landfill during regular operating hours, free of charge. Complete the following form to receive a temporary 2019 Seasonal parking permit via email. You will be mailed a seasonal parking permit to hang in your vehicle. Once you complete the form, you will be directed to PayPal. Once the transaction is verified, you will receive the temporary parking permit via email. Complete the following form to receive your daily parking permit via email. Once you complete the form, you will be directed to PayPal. Once the transaction is verified, you will receive the parking permit via email. 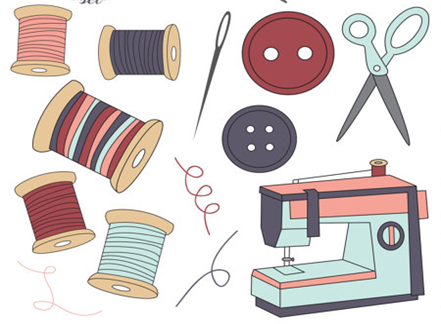 Now combining the Horton Quilters and Heritage Crafts groups, this one group will let you experience the best of both worlds! 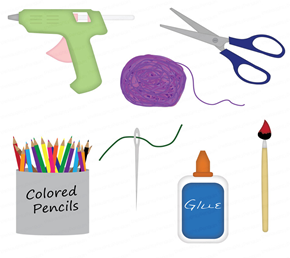 You can bring your own crafts to work on or learn a new hobby such as Horton’s known quilting projects, crocheting, and knitting. Come for a visit with old friends and neighbours and join us for coffee or come and meet new friends and neighbours! Every Monday from 9 a.m. to 12 p.m. The Horton Township Boat Launch Parking Lot is a paid parking lot with manditory boat launch fees for launching and/or parking. Permits are to hang off of your rear view mirron or to be placed on the vehicle dashboard so it is clearly visible. The boat launch is monitored on a daily basis by the municipal law enforcement officer. A ticket with a fine of $29.95 will be issued by municipal law enforcement personnel to those not in compliance. The Horton Boat-Launch is located off River Road where the Bonnechere River flows into the Ottawa River. This area consists of a large parking lot, a ramp for easy access, a dock for temporary anchoring of boats, and it is handicap accessible. All passes need to be visibly displayed on the dashdoard of your vehicle. The Horton Community Centre, at 1005 Castleford Road, is now completed and available for bookings. This facility is air conditioned, fully licensed and has a seating capacity for 200. For rental rates and availability, please contact the Community Liaison Officer at 613-433-3303 or select Recreation Forms for the Hall Rental Package and Rates. Available to rent for weddings, stag & does, birthdays, sporting activities, and much more. The Community Centre has tables and seating for up to 200 people, a stage, kitchen and bar. Two hour (maximum) Renter responsible for set up and tear down if any. Event must be over and cleaned up by renter in this time. Corkage Fee @ $4.00 per bottle – Payment to be made to the bar tender before the end of the evening. Bartender will advise you of the fee. Take Highway 17 West to Bruce Street/Castleford Road exit (2nd set of traffic lights for Renfrew). Turn right onto Castleford Road and travel for approximately 2 km. Community Centre is on right. Take Highway 17 East to Bruce Street/Castleford Road exit (1st set of traffic lights for Renfrew). Turn left onto Castleford Road and travel for approximately 2 km. Take Highway 60 East to Renfrew. Turn left onto Bruce Street at Tim Horton's. Proceed out of town, cross Highway 17 at the traffic lights. Road name changes to Castleford Road. Proceed for approximately 2 km. The Household Hazardous Waste depot is located at the Renfrew Landfill. HHW can be dropped off from the first Saturday in May to the last Saturday in August. Solvents: Turpentine, disinfectants, household cleaners, bleach, oven and drain cleaners, furniture stripper, ammonia, etc. Fertilizers and pesticides: Herbicides, pesticides and insecticides, weed killer, etc. Pressurized cylinders: Propane, oxygen, helium, acetylene tanks and fire extinguisher etc. Horton adopts a new strategic plan. Horton Township has contracted the services of an animal control officer with Municipal Law Enforcement Services Inc. to carry out all aspects of animal control within the Township as per Horton Township By-law No. 2014-34. This includes the regulating of the keeping and control of dogs, the licencing and restraint of dog. This by-law does not regulate the control of cats in the Township. Please refer to the Complaint Procedure and the Complaint Form for regristration of a complaint. Council meetings are held on the first and third Tuesday of each calendar month (excluding August). Meetings commence at 4:00 p.m. Delegation appointments can be arranged for later in the meeting (6:00 p.m.) and are usually limited to 15 minutes. Delegations wishing to address Council must notify the CAO/Clerk the Tuesday prior to the date of the regular Council meeting. All Council meetings are open to the general public. This guide has been prepared by the Ontario Ministry of Municipal Affairs and Housing (MMAH). It is based on A Quick Guide to Municipal Financial Statements (2010) produced by Alberta Municipal Affairs. The guide provides examples and explanations of some of the typical information contained in a municipality’s annual audited financial statements. It may help municipal officials, councillors, and other stakeholders understand the information provided in the annual financial statements. Council has passed a NEW 'Clean Yards By-Law. This By-law requires properties to be kept clean and free from junk and/or debris. The By-law also contains provisions for an Order to bring the property into compliance and fines are applicable! You can see a copy of this By-law HERE for a full list of what constitutes junk and debris. As of July 1, 1998 under the Ontario Fire Code, every home in Ontario is required to have a working smoke alarm. Homeowners must ensure that smoke alarms are installed between sleeping and living areas. They are also required to maintain the smoke alarm in working order. In rental accommodations, the obligation to install and maintain smoke alarms in operating condition falls on the landlord. Landlords must also provide smoke alarm maintenance information to the occupant of each unit. Failure to comply with the smoke alarm requirements of the Fire Code can result in a $200 fine. The Fire Chief does not have any discretion in a fine. Reconnect with your inner wanderer! Available exclusively for local and seasonal residents of Renfrew County, the Valley Wanderer Card offers discounts and savings at local attractions, restaurants, retailers and accommodations. For a complete list of discounts and offers, click here. Be sure to check back often as more discounts and offers are added throughout the year. Local and seasonal residents can pick up a card at their local municipal or recreation office. Proof of residency may be required. Limit of 1 card per household. Limit of 1 card per transaction. Discounts cannot be combined with other offers. Valley Wanderer card must be mentioned at time of booking. Valley Wanderer card must be shown at the participating business to receive discount. All Valley Wanderer card discounts and offers expire December 31, 2016. Discounts and offers are subject to change at the discretion of the business operator. Card Users are responsible for checking the website for current discounts and offers. On behalf of the cottagers on Gagan Lane I want to thank the Council for restoring the annual tax covered road grading. As promised in 2015 and reconfirmed in 2016 the council responded to the cottager's request for help In maintaining their roads as part of providing fire, ambulance and police protection. The ad hoc committee provided a very clear policy and procedures statement that we will be pleased to follow. I'm sure you get many complaints in the township and people are quick to comment but we felt it was also necessary to share this information. Thomson Road was recently worked on by BR Fulton Construction, K&K Paving with Rod Eady and Horton staff. Living on that road, we would liek to applaud all th employees involved with this process. As we all know this is a very busy road but they went out of their way to do a quick yet fantastic job, completing the road while not causing any inconvenience with traffic. For us we were concerned about the fact that our driveway was paved and the end had to be cut out and tied back in with the road. Rob Fulton, his staff, K&K employees and Rod Eady ensureed all would be good and they were absolutely correct. all of these people further followed up with us to ensure we were happy. They were awesome adn certainly did a fabulous job. They should all be commended for their work on Thomson Road. The pavement, the shoulder of the road, everything turned out perfect and is great to drive on. Thanks to everyone. A job well done! The Hawkins-Gignac Act, As of April 15, 2015, all Ontario homes at risk of carbon monoxide (CO) exposure must have CO alarms installed near sleeping areas, or risk penalties. We have prepared materials from the unique vantage point of one of Canada’s worst carbon monoxide related tragedies, in which CO claimed the lives of a family of four from Woodstock, ON and was the impetus for the creation of the Hawkins-Gignac Foundation for CO Education. This new law makes carbon monoxide alarms mandatory in all Ontario homes with fuel-burning appliances or attached garages, no matter the age of the home. Referencing our information on your web or social media sites will be useful to help convey details about this new law and the April 15 enforcement date. The focal point of the package is our ‘Get to Know CO’ three part video series that covers ‘Complying with Ontario’s New CO Alarm Law’, ‘Sources and Symptoms of CO’, and how to ‘Protect your Family with CO Alarms’. Go to the following link for an updated CO Alarm Law Homeowner Guide (PDF) and a CO Alarm infographic at http://www.endthesilence.ca/stay-safe/ontarios-new-co-alarm-law. Attached is a big box web banner to link back to to the same URL. Other resources are available at that same link. The Hawkins-Gignac Foundation for CO Education, a charitable organization, was established to ensure the Hawkins family – Laurie, Richard, Cassandra and Jordan – who died from CO poisoning in Woodstock in 2008, did not perish in vain. Our mission continues in Ontario by encouraging citizens to comply and to educate all Canadians about the dangers of CO and how to properly protect families. Please post this information for the April 15th enforcement date and beyond. This information will continue to be relevant for months as residents come into compliance with this new law, supporting the ongoing CO education efforts from your local fire service. As part of your social media outreach, please watch for, follow and share the activity coming from the Foundation on Twitter @HawkinsGignac and facebook.com/HawkinsGignacFoundation. Horton Township is a vital rural community that surrounds Renfrew on three sides. Over 2,500 residents choose to reside in Horton Township. Along with bordering the Ottawa River, the Township is home to several large lakes making this community very attractive to cottagers and retirees. The four-lane expansion of the TransCanada Highway (417) beyond Arnprior is nearing completion. This will shorten the commute to Ottawa for work and social outings. Many recreational facilities are available within the Township. These include a public boat launch, the Renfrew Golf Club, the local Community Centre and a beautiful regulation-size outdoor rink that is covered. The Horton Community Centre and the outdoor rink are available to rent for private functions. The Township is flourishing with new development. There is a planned subdivision that is nearing the construction stage and another is in the planning stages. In addition, several new businesses have chosen to set up their company in our thriving Township. This application is for submission purposes only and is not an approved family fireworks display permit. Once this application is received and approved by staff you will receive a Permit Number via e-mail. Note that all permits issued will become null and void if there is a Fire Ban declared by the Horton Township Fire Chief. APPLICATION MUST BE SUBMITTED 7 DAYS PRIOR TO THE EVENT. ***Please note that Delegation Request Forms must be submitted the Tuesday prior to the date of the Meeting. Effective July 19, 2012, a Level 2 Drought notice has been issued throughout Renfrew County. Horton Township Council is requesting that all residents and businesses in the Township voluntarily reduce their water use by at least 20 percent by using water wisely and applying water conservation measures. Non-essential water uses should be suspended until natural water supplies are recovered. MNR and County of Renfrew staff continue to monitor conditions and communicate with water managers throughout the County. Every municipality has representation on the low water response team. Updates regarding drought levels will be issued as conditions warrant. Please listen to Heritage Radio Station and check the Horton Township website for updates regarding this situation. Thank you for adding or editing your business. The Community Policing Advisory Committee is comprised of four local municipalities to work closely with the Renfrew Detachment of the Ontario Provincial Police to determine strategies and initiatives for their local communities. The Millenium Trail is an excellent recreational trail for skiing, snowmobiling, biking, walking and hiking. The trail is located in the south-east portion of Horton (RR#1) from the Horton border east of Barnett Blvd. in Renfew to the eastern border between Horton and McNab-Braeside Township.